Today in Ahmedabad, students of Lotus School in Isanpur area gathered to pay respect to one surviving soldier Hanuman Thapa at Siachen Glacier in Himalaya. 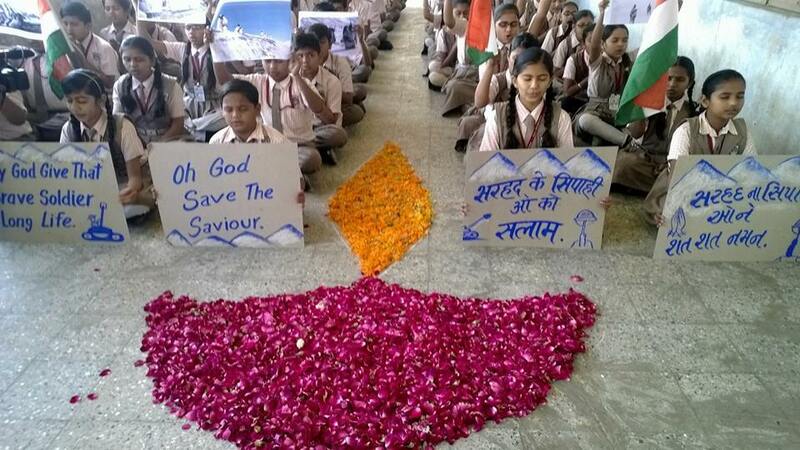 Students performed prayers for soldier Thapa. 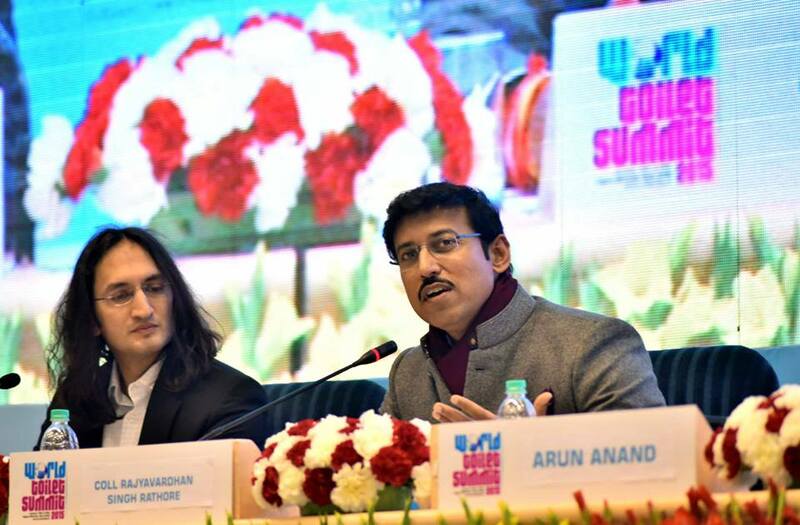 The Minister of State for Information & Broadcasting, Col. Rajyavardhan Singh Rathore at the 14th World Toilet Summit 2015, in New Delhi. It is needless to remind that PM Narendra Modi emphasised the need to have toilet for women and girls in rural areas.